RF Adapters and Easy Find Wizard - Max-Gain Systems, Inc.
Max-Gain Systems, Inc. is proud to offer a new line of the most popular types of RF adapters to our customers at very reasonable prices! In-series, between series, bulkhead, right angle and T-shaped coaxial adapters are all available. After a long search, we have located a producer whose quality we were satisfied with (no small task at a reasonable cost) and we have become direct importers of these lines. We carry all of the “usual” types like UHF, N, BNC, RCA, TNC, SMA, mini-UHF, double banana, and 3.5 mm, AND the “hard-to-find” ones, too … including types C, MC, MCX, MMCX, reverse polarity N (RP-N), reverse polarity SMA (RP-SMA), reverse polarity TNC (RP-TNC), SMB, and SMC! Whether you are looking for adapters for Wi-fi, GPS, or Wi-Max, we are likely to have exactly what you need, all in top quality at VERY reasonable pricing! Unlike most sellers of adapters, it is actually EASY to locate the adapter you need. See our new RF Adapter Easy Find Wizard below. 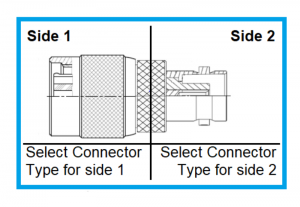 Select the two types of connections you need to find an adapter for and click the “show products” button. You will be instantly taken to all of our products that match your selection! 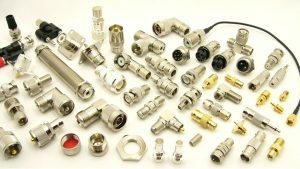 The various types of connectors and adapters shown and available for sale on this page include all of the following… and yes, the correct spelling is “adapter”, not the very common misspelling “adaptor”.